Get your message in front of the right voters. The reason Facebook is an effective advertising channel for politicians is the targeting. You can choose exactly who to show your ads to based on their political interests, most important interests, or, simply, by neighborhood. This is known as geographic targeting or location targeting. It’s easy to want to find the perfect audience of moderate voters interested in the environment, but often this can be overly prescriptive. What often works well is to target geographically in your ward/district/city and learn what voters are most interested in. 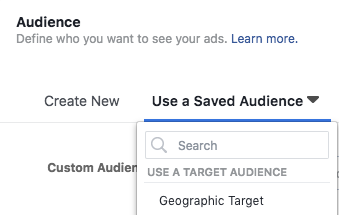 Here’s how to use Facebook geographic targeting for your campaign. Note: This post is part of a series on using Facebook for political campaigns. Start at the beginning with why Facebook matters for a campaign and how to properly setup Facebook for your campaign. Targeting based on geography, or location, is the targeting everyone has to use. 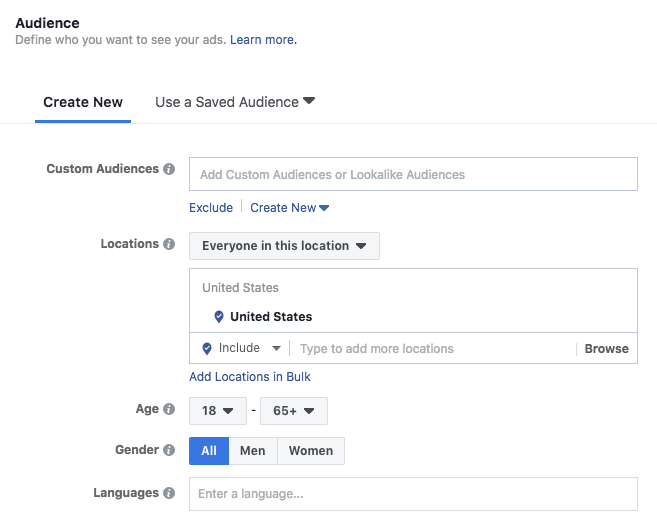 Facebook will force you to choose where your ad will run, and you want your ad to run in the right place. The most common next step is to type in the name of an address, city, state or zip code. Then, you can choose a radius around the address or city where your ad will show. Note that you can have a smaller radius around an address than a city. If you have a large number of locations to target, you can even add them in bulk underneath the map. 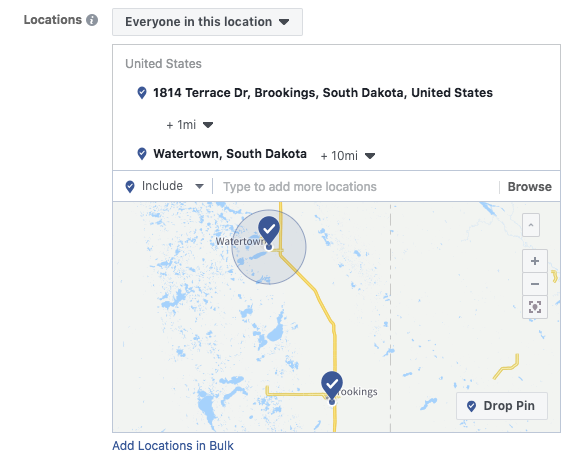 Just copy and paste your zip codes, city names, or addresses in, and Facebook will find them for you. For a campaign, you can purchase the voter rolls from past elections. Past voter rolls a great source of addresses if you are trying to figure out where to start your targeting. Find the neighborhoods/areas with a large number of active voters and then narrow your ads into that neighborhood specifically that matches their party registration. 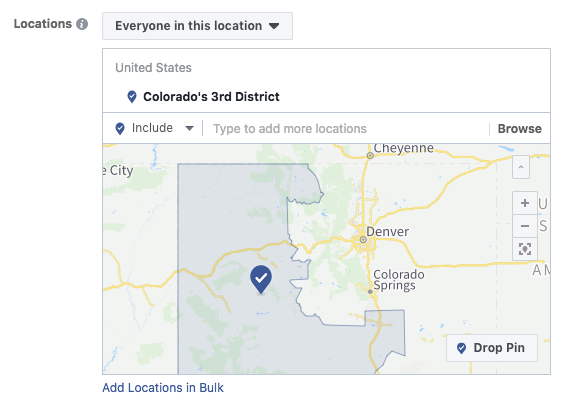 For national campaigns, Facebook makes the initial geographic targeting easy. You can enter your congressional district and it will be perfectly mapped for you. For example, here is Colorado’s 3rd Congressional District. Of course, a campaign doesn’t want to reach everyone in the district. Instead they want to reach voters who actually live there. Fortunately, Facebook gives you that option as well. Above the map, click the drop down and select People Who Live in This Location. 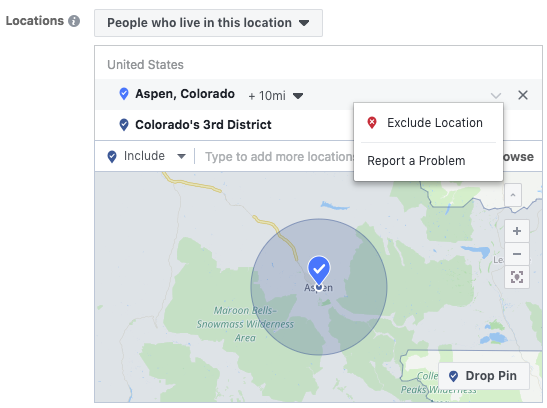 The final ingredients before you can truly unlock the power of location targeting are “negative targeting,” meaning excluding people in a certain location, and dropping pins for specific locations. If I am running for office in Colorado’s 3rd Congressional District, I probably don’t want the same message for the entire district. Instead I want to focus my message based on the community, or even neighborhood. I might decide that Aspen, CO is very different than the rest of my district, so I don’t want my general message to show there. I can then type in Aspen as a location and click the drop down arrow to the right of the city and choose exclude. The result is a red circle in the center of my district where my ads won’t run. Most often, however, cities are not homogenous. We don’t want to exclude an entire city or even zip code. Instead, we think in neighborhoods and clusters. Fortunately, Facebook helps us here as well. Using the Drop Pin feature on the bottom right of the map, you can specify a location or locations that you want to include or exclude. Just click drop pin, then click where you want that pin to be located. Note that by default it will start with a 10 mile radius that you can narrow down to one mile. If I look at Aspen in a hypothetical situation, I might decide I only want to target people who live near the golf course. I’ll start by typing in the address of the golf course, but Facebook will only let me narrow in as small as one mile around the address. That includes too many other neighborhoods that I’m not interested in. So, I will narrow things further using the drop pin. I click drop pin and then make a negative radius in the neighborhoods I don’t want included. The end result is a Venn diagram with my target neighborhood, showing up as blue, in the center. Now you know the tools available for targeting your ads by location. What should you do with this new power? Here are a few ideas to try. 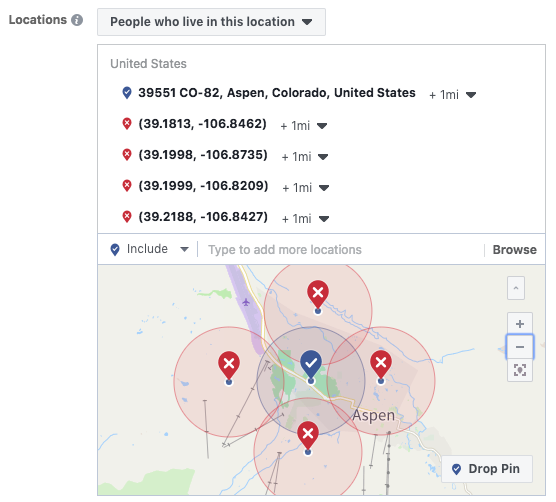 As mentioned in the Aspen example above, you can run your ads to specific areas of town that is more granular than zip codes and a smaller radius than one mile. This power is helpful when you know, or want to know, what matters in a specific neighborhood. If you are going to speak in a neighborhood later in the week, why not run an ad only in that neighborhood with three different issues, say healthcare, the economy and garbage clean up. You can track which of those ads, (or cards in a carousel), gets the most click or comments and have a sense of the most important issue. For campaigns who have purchased past voter data, which I recommend, you can visualize this data to understand where the key pockets of support is within a city. For example, here is a visualized map of voters in my hometown where I ran for city council. I could go towards the areas of town with the most blue pins, which represent registered democrats who voted in the last election, and focus my get-out-the-vote ads on these neighborhoods. Similarly, I could block neighborhoods that have a large number of people in the opposite party or where people don’t vote, so I don’t waste money on non-voters. Candidates are famous for walking the parade routes and the local county fairs. My grandfather set his folding chair up outside the Turner County Republican’s booth every year at the Turner County Fair. You can do the same thing digitally using Facebook. When an important event is going on, you can target just that location, and even just the people who live in your district who are at the event. I’ll use the Turner County Fair as an example, but the same idea could be used for sporting events, concerts, city council meetings, or even campaign events your competitor is hosting. Anywhere where there are large number of people gathered are perfect spots to digitally canvas. The Turner County Fair is in the small town of Parker, SD and it’s the “Best four days of summer,” mostly because it’s a free fair with great ice cream, competitive Bingo and demolition derby. If I’m a candidate in Sioux Falls, SD, the Turner County is not where my voters live, but it might be where they are. To reach them, I can first target the specific location of the fair and specify only people recently in the location. 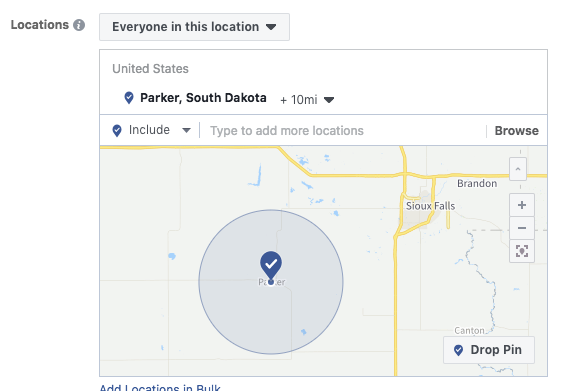 If I chose people visiting the location, that would mean they live more than 125 miles from the location, which would mean they do not live in Sioux Falls and are not my voters. If I was targeting a smaller event like a meeting, concert or sporting event, I would use negative pin drops to focus in on a location. Since the fair is the only game in town, I’m good with a one mile radius. When you have the geography how you like it, make sure to save the audience. 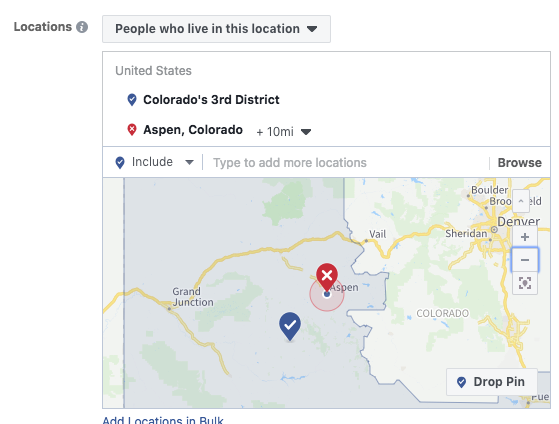 You can still go back and add additional targeting such as political affiliation or interests, but by saving it, you won’t have to mess with dropping pins and finding the perfect locations. In the future, just click Use Saved Audience and you’ll be ready to go. The last step is to target your ad to your audience. 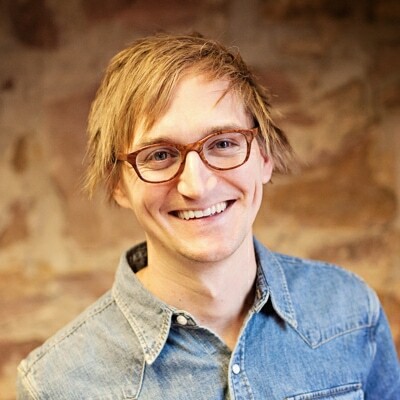 You won’t be able to perfectly filter each audience with location or interest targeting. That’s ok. Let the ad do the work for you. By using your creative (text, image, video, etc.) and the time your ads run (only during the fair, sporting event, meeting, etc. ), you can encourage the right people to click your ad. Most often you will only pay when people click so you won’t waste much of your budget on voters from other areas. There are key moments in a campaign that may relate to geography. For example, if people register to vote in a physical location, you can target that specific location during those periods of time. If mail-in ballots are delivered a certain time in certain locations, you will want your ads to run in the right place at the right time. Similarly, you can target voting locations with ads. While you can’t physically campaign in the voting booth, you can be on the voter’s phone, which has the same effect. One powerful campaign is to target people who have gone to a voting location for early voting, or even voting on the day of the election. Create an ad during the hours the polls are open with your final pitch. The goal is to catch them in line looking at their phone. What can work equally well, is to target people who have voted with an ad encouraging them to call or take a friend to vote. Many voters will post a photo on Instagram or Facebook after they vote with their “I Voted” sticker. If you have an ad running to people in that specific location, especially if it is targeting voters of your political party, give them quick ways to help you get more people to the poll. 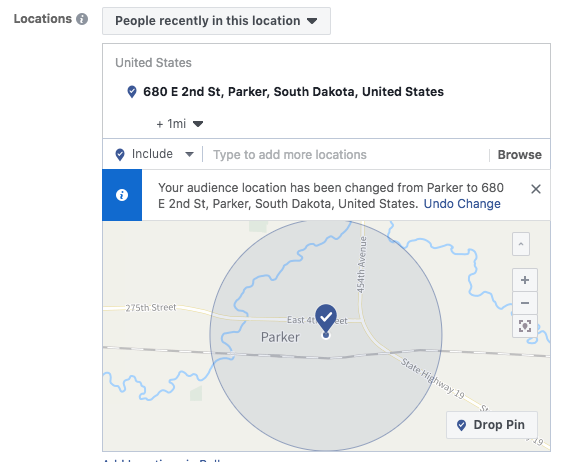 Location targeting is the foundation of Facebook targeting. It is easy to show an ad to an entire city, district or even state, but the more focused your location, the more you can learn about your audience and the better your results will be. The best part? You can test locations against one another. 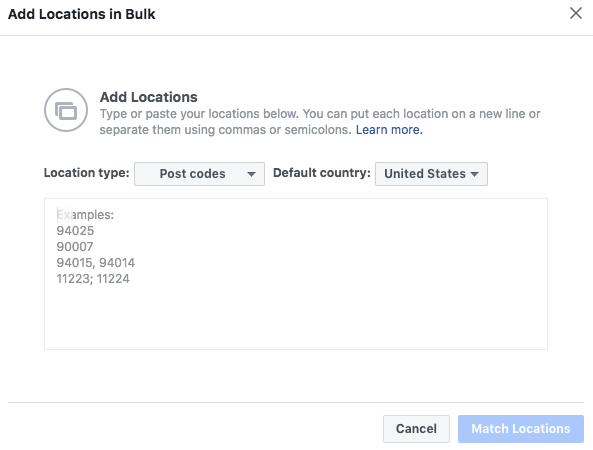 Every Facebook campaign can have multiple ad sets, where you choose the location. Create the same ad in the same campaign, but run it to three different locations. You will quickly see which location is best for your message and can spend your money appropriately. In the next post in this series, learn the strategies you can use to learn what messaging works best for your campaign. Or, go back and make sure your Facebook account is setup properly in the beginning of the series. Learn to use Facebook for your political campaign.